What a FUN Week! I have this great group of kids attending our This and That Book Camp! 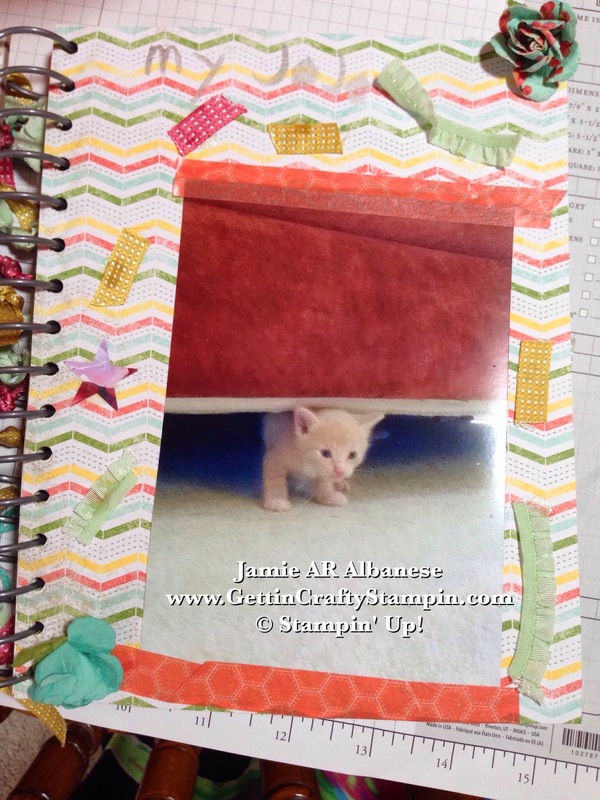 With many options these This and That Books are the Un-Scrapbook where you can document your life, your hopes and dreams in a loose and fun manner! This class has some great artists ranging from 6 years old to 17! 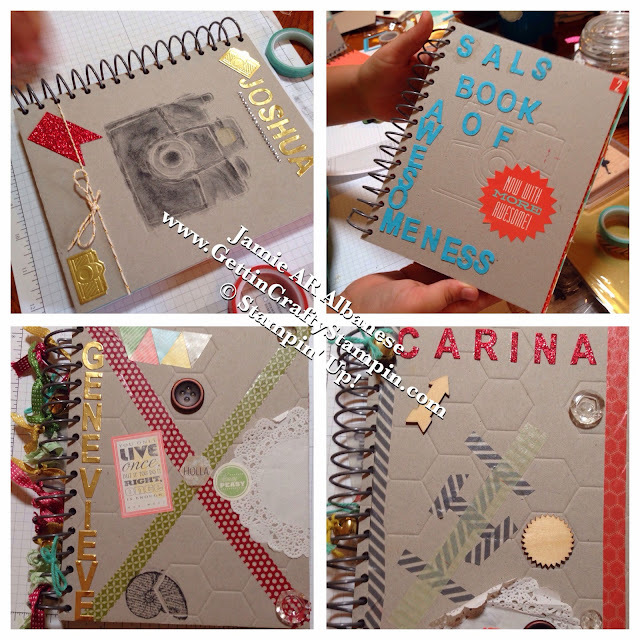 See the fun projects that they are creating. With fun 3D flowers, punches that coordinate and our stunning Designer Series Papers.. a breathtaking book can come to life and is sure to WOW! Great Job Stephany!! Martha wanted a stained glass look. The new Corner Garden background stamp (wood 134054/clear 134048) Heat Embossed with Black Embossing Powder for a sharp look. 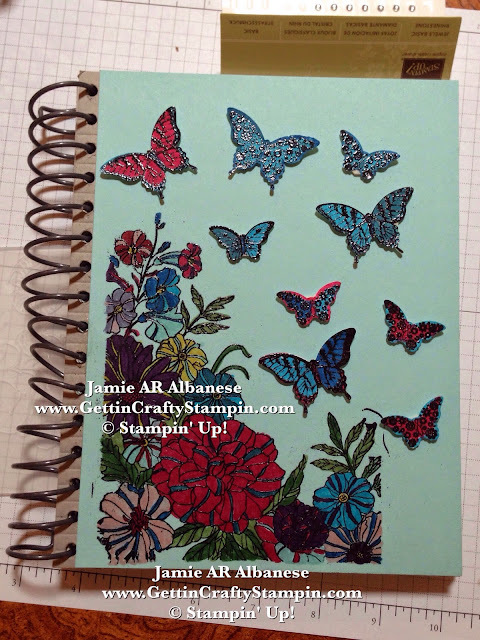 Color in the flowers (and the butterflies from the Papillion Potpourri stamp set and the coordinating punches) using the Stampin' Write Markers you can create a stunning look that will celebrate your memories and journaling. The New Little Letters Thinlits (133730) on the Big Shot and Magnetic Platform all of the kids enjoyed naming their books!! Using cardstocks, Gold Foil Sheets, Glimmer Papers.. they are truly original!! 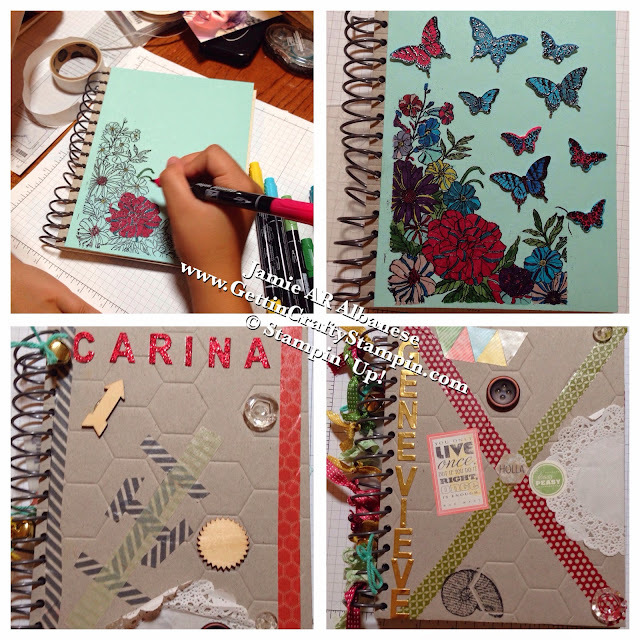 With the coordinating Designer Stickers make your books 'More Awesome' - easily!! 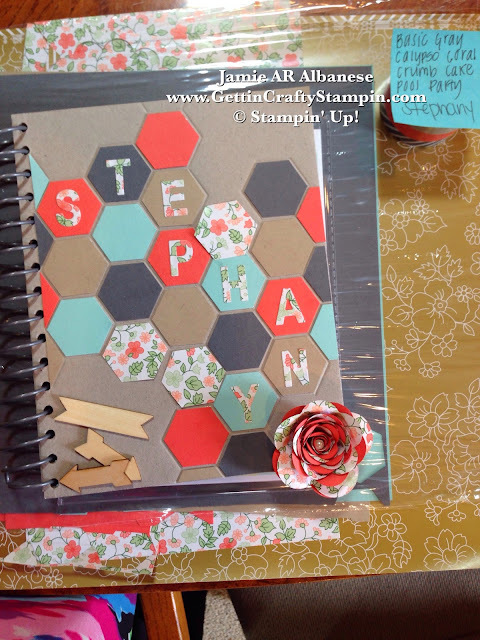 Tie on some fun - adding ribbons to the edges, doilies and buttons... the kids are stamping and washi-taping their own personalized books!! 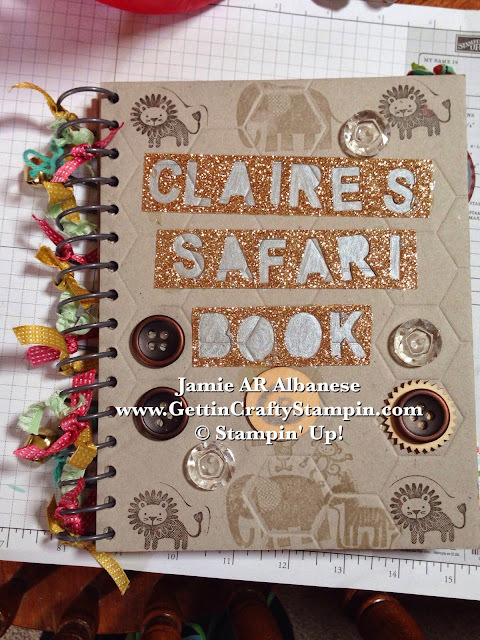 This sweet girl, who is 7, had a blast tying on the ribbon accents, stamping this into her new Safari book and then documenting her beloved kitten (who passed away). She is having fun while celebrating and documenting her life! OPTIONS!! The kids are totally enjoying making these books into their own style. It's a hoot to see them blossom while creating. 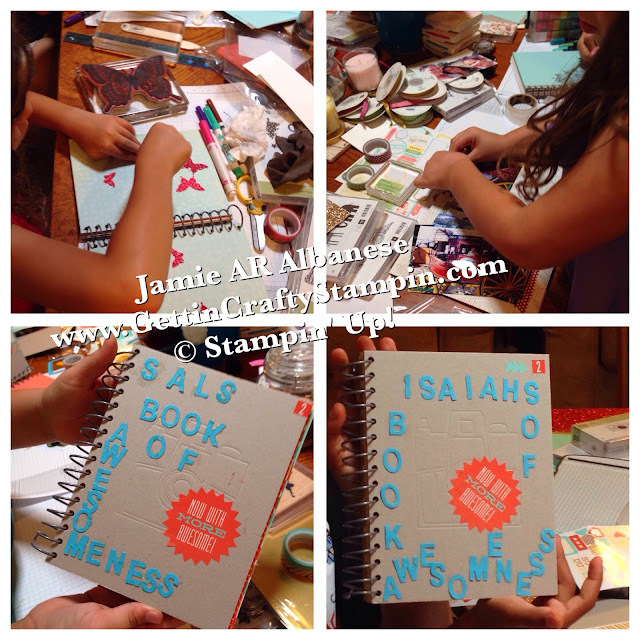 No matter the age or knowledge - you can create a fun, low cost book that is priceless as it celebrates your/their lives in the season that they are in. Bling that Rings! We had fun using the Baker's Twine to tie on some bells!! These cute bells have these fun books ringing in the celebrating! Giving the gift of celebrating their lives to these kids while their parents grab a break... it's priceless!! See MORE on the This and That Books when you Click HERE! Please Like and Share, then buy your own with me!